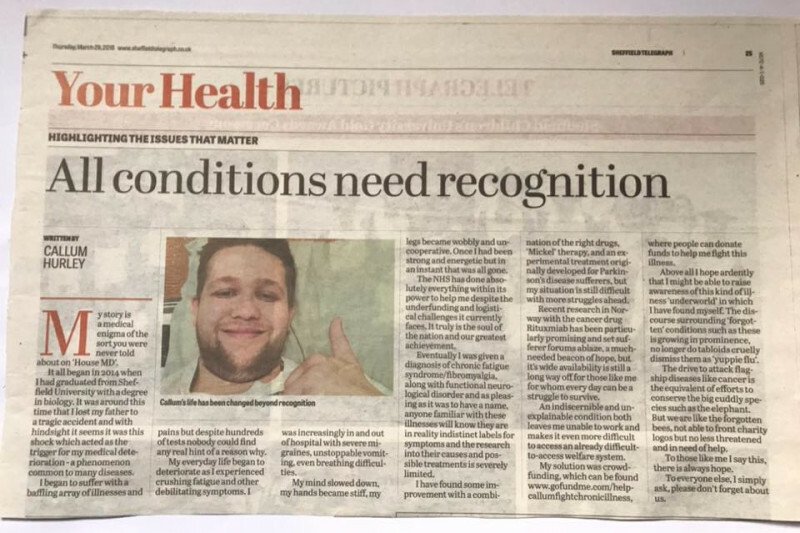 I’m Callum Hurley, and I’ve set up this campaign in the hope of seeking your help towards funding to both assist covering my considerable medical expenses, and to generally help improve my circumstances after my life was turned upside-down by chronic illness. I’ve been seriously ill for over three years now, and as a result my once wonderful life and promising career have been utterly lost, despite my best efforts to fight back and hold on to all that I love. Throughout 2017 my health worsened at a rapid rate, sending me pinballing around doctors and hospitals with no end in sight. Many possibilities have been both suggested and rejected by many doctors all over the medical spectrum, ranging from ALS to ME, but in truth even now nobody really knows why any of this has happened. My official diagnosis is one of Fibromyalgia and functional neurological disorder, complicated and indistinct conditions which are poorly understood by modern medicine and even less so by the doctors on the ground themselves. As such I have been through a long and demoralizing struggle to even get recognition of any kind (it having taken almost two years to reach a diagnosis at all), and for long periods have had to struggle to survive almost completely alone whilst in appalling suffering, and at the same time as battling debilitating muscular issues including those impairing my ability to both walk and swallow. During all of this I lost many thousands in medical bills striving to find anything at all that might help, leaving me desperate and without hope. However, within the past few months, I have at last begun to discover causes for hope for the first time in years, and it is this that has at last given me the courage necessary to reach out after spending so long in isolation and denial. As such I dearly entreat the mercy of sympathetic and compassionate people to support me in this effort, by whatever means they can spare. 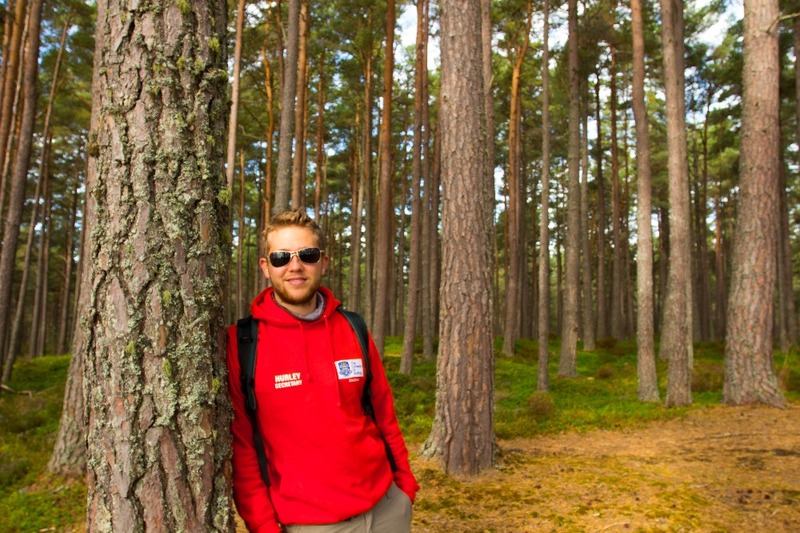 It all began in 2014, just after I had graduated from Sheffield University with a 1st class honors in Biology and was ready to embark upon a career doing what I loved, helping to fight for and conserve the beauty of our natural world. It was around this time that I had lost my Father to a tragic accident whilst he was teaching abroad in Thailand, an event which shook me to the very core and left me with a grief that those who have lost a beloved parent will know. My Father had been my mentor and hero, and it seems to have been this shock which first triggered the cascade of nervous system and/or autoimmune dysfunction which eventually grew to consume my life. Almost immediately my once fantastic health began to collapse. I soon began to suffer with a truly baffling array of seemingly unconnected illnesses and pains that took me to every corner of the medical world, but despite literally hundreds of tests nobody could find any hint of a reason why. Once I had been strong and full of youthful fire, working tirelessly in forestry and academia, an enjoying the opportunity photographing wildlife all over the World. Out of nowhere, that was all gone in an instant. Initially I responded mostly with denial, a lie that despite my best attempts I could never fully sell, as I could always still feel the illness advancing inexorably. Even as my old life fell apart I fought so hard to defy it. Deep down though I knew that, far from the many decades that I had expected, I was running out of time to enjoy life’s normal experiences. I spent those early days mostly travelling around the World alone with my Father’s legacy, in a desperate effort to drink in every inch of beauty and life that I could whilst I still had the opportunity. With my huge chest of medications in tow I sailed across the beautiful islands of the South Pacific, drove through the Canadian Rockies, trekked across mountains and bathed in hot springs in Iceland and New Zealand. In my condition it was often brutally hard and lonely, but looking back I still cherish those times dearly and often look to them even now for comfort and inspiration. But they simply could not be sustained. Eventually the illness brought me to heel and forced me to my bed for ever longer periods. Soon even my ability to live and function began to deteriorate as the infamous fatigue began to creep in more and more to every day. Always there was that crushing, inexplicable sensation similar to that of the flu, which seemed to precipitate weakness into every cell of my body. The intensity and immediacy of that weight have fluctuated on both a day-to-day and longer-term basis, but from the day it first appeared it has never completely abated. It is as though I one day woke up with a horrible cold that has waxed and waned, but never gotten better. I recall explaining my symptoms this way to one of the many doctors I have seen, and consequently seeing upon his face a wince of pure horror that has never left me. Many others told me to my face that I was perfectly healthy and needed only to ‘buck up’ or was simply depressed (which of course I also was all things considered), often as I struggled visibly to sit upright in my very seat. I was in and out of hospital with severe migraines, unstoppable vomiting, and even breathing difficulties. Every inch of my body became sensitive and painful like a giant bodywide headache. My thoughts slowed and became sluggish and my attention span and mental capabilities collapsed. Every bodily system and process has been affected in some way. My hands became stiff and difficult to use, like after handling snow without gloves. My legs became wobbly and uncooperative. I began to struggle to swallow to the extent that I would choke on every bite of food. I became so sensitive to sound that I would often wear earplugs all day long and could go almost nowhere where normal hubbub would be present, so delicate to sensory stimulus that even the colours of supermarket shelves would leave me feeling bewildered. Despite crushing exhaustion sleep eluded me, and in every moment there was pain of numerous sorts, humming together in a deafening symphony of relentless misery. Eventually I received diagnoses of Fibromyalgia and CFS/functional neurological disorder. As pleasing as it was to have a name anyone familiar with these indistinct illnesses will know how little this really means. These ‘syndromes’ are more broad descriptive labels for symptoms and can be due to a diverse array of poorly understood causes - both physical and psychosomatic; rather than the more specific conditions we are used to. Even after hundreds of hours of reading, consultations, clinical trials, and research, it would reach far beyond my station to suggest anything authoritative more than this. Indeed one specialist in the area that I consulted with also worked heavily with HIV patients, and estimated to me that the average CFS sufferer has a comparable quality of life to that of an AIDS patient in the last two weeks of their life. Research and awareness into this area is severely limited and direly needed, but thankfully seems to finally be beginning to gain traction in the last few years. I tried every drug and alternative treatment imaginable with an almost obsessive zeal and at a personal expense of many thousands of pounds, to no avail. Some seemed to help at first or provide short term relief, but nothing slowed the decline. Over time, via a combination of isolation and contempt I lost almost all of my friends and family, save for a precious few, and was left to fend (very poorly) for myself. Often I desperately sought for sanctuary and care but those in a position to help were utterly unwilling to compromise their own comfort to help one whom they didn’t even ‘believe’ was really ill, leaving me with no other choice but to struggle by alone. The constant pain ravaged my mind and left me with severe PTSD responses to even the mere mention of pain or illness, and constant nightmares assaulted me at night. Despairing and hopeless I eventually reached the lowest point. Seeing no other option I sought out self-euthanasia as a way of ending my suffering, desperately wanting to live but facing the crushing notion that I would likely never again be able to do so. Multiple times I cam very close to death only to relent at the very last moment. Ultimately it was this that seems to have been the catalyst for what followed, as despite not quite understanding why I simply felt in my heart that I could not go through with it. At first this was devastating, but over time I came to feel that it wasn’t fear or weakness that stayed my hand, but the feeling that I still had some destiny to see through, a duty to pull something good from this god-awful mess. 2018: Hope, and a plan. With my continued existence established something quite unexpected began to happen: I stopped getting worse and even began to become slightly better. I found real improvement with a combination of the right drugs, specialist 'Mickel' therapy, and an experimental treatment (originally developed for Parkinson’s disease sufferers) wherein a device electrically stimulates the vagus nerve in an effort to ‘rebalance’ the nervous system. To my utter amazement this actually helped! For the first time since this all began the illness seemed to betray a hint of fallibility. Still my capabilities are still very limited and my quality of life low, but it is a vast relief compared to the previous downward spiral. Now as long as I do little and carefully I can manage with reasonable independence. Yet most importantly I found the resolve to use this opportunity, meager though it still may be, to make a real concerted effort to finally improve my circumstances and do what I can to retake some ground from the illness. Unfortunately of course the financial reality is a grim one. When my Father died he left what wealth he had to me, and were it not for this I certainly would not have survived. However years of being unable to work as well as being rejected for welfare support have left me in dire straits. This is largely due to the contentious nature of my condition, the length of time it took to achieve a diagnosis and the difficulty in proving it, alongside the currently tragic state of the UK welfare system due to the current UK Government’s appalling apathy for the disabled and disadvantaged (the nature of the experiences I have had there and horror stories I have encountered is something I will not foul the air with here). Factoring in the many thousands that I have lost in medical expenses my means are all but exhausted, and I am dangerously close now to lacking even the capability to survive. To repay these debts alone will require large sums, and to achieve stability in my current situation and develop the potential to move forward I will need to rely upon the kindness and generosity of strangers. Long have I procrastinated in this realization, telling myself that if I waited just a little bit longer it might not be necessary to resort to it, reluctant to make myself a burden on others. Even with this hope there is still undoubtedly a long road ahead of me assuming it is even possible at all to reclaim my health. That said, I choose to believe that it is until proven otherwise, and it is absolutely my ambition to do so. And I really need your help to make it happen. Ultimately I have three main ambitions: all considered ways to enable my personal recovery and progress such that I might become a full productive member of society again. Firstly, I have no choice but to raise money to help cover both past and future medical expenses, as well as provide a buffer means to survive where other efforts fail. This could ultimately include currently unknown costs. It has for example been suggested that I may in the future be in a position to travel to the USA for treatment at a facility specializing in functional neurological disorder. This would of course be prohibitively expensive without the support of others. Secondly it is my ambition that, perhaps most significantly via the network an appeal like this will generate, to find other general ways of improving my circumstances and keeping my hope of a better future alive. I have long sought for example a more nurturing and rural place to live, a peaceful place closer to nature where I might better meditate and hopefully heal. I seek also to connect with other kin of mine who have been touched by illness, to find friends and allies that we might better fight it together and feel not alone. And finally, and perhaps most importantly of all, I want to find a way to again have experiences not defined by illness and pain. Having lost my father and having no other close family to rely on I have become stuck in a practical rut, with no way to get away from my home even with what little energy I do have Were my Father here I know exactly what he would do: Kit out a camper van with a sick bed for me and drive it around the World, so that however bad things got I might still be able to crane up and see the Great Wall of China from my bedside window. This would be my very wildest dream, but even a chance to see the ocean again or a drive through Loch Lomond’s glorious mountains with a cool Scottish wind from an open window would be a dream come true. It is my dearest hope that there may be other likeminded, free-spirited friends out there who can sympathize with my plight and devise a way to help, to once again give me a compelling reason to endure all of the pain. My aspirations will certainly require the stars to align, but are not at all impossible with the collective support of you and other compassionate individuals, united with the great power of the internet. I know now that it is possible that I will never lead anything even remotely like the life that I had hoped for or expected, and the process of grieving for that loss has been perhaps the hardest ordeal I have so far overcome. Until I can find that ellusive miracle that fate has so far denied me (and not for lack of searching), then gone are my dreams of career, family, a daughter, and so much more. Yet I know in my heart that I still have much to offer the World. I cannot tell you how much I still miss every little memory and comfort of normal life, undiminished every single day. But with this endeavor I have hope that, if nothing else, it might be possible to feel the smallest bit ‘alive’ again. Please give just whatever it is that you can, but if that isn’t money then don’t worry. Sharing this appeal via social media is absolutely the single most significant thing that you can do to help me, a large enough number of people together can make almost anything happen and you will be helping me to reach them all. Or, if you would be kind enough to organize or get involved a fundraising event please get in touch through this page or through the Facebook account and I will help in any way I can. My deepest thanks and best wishes to all. 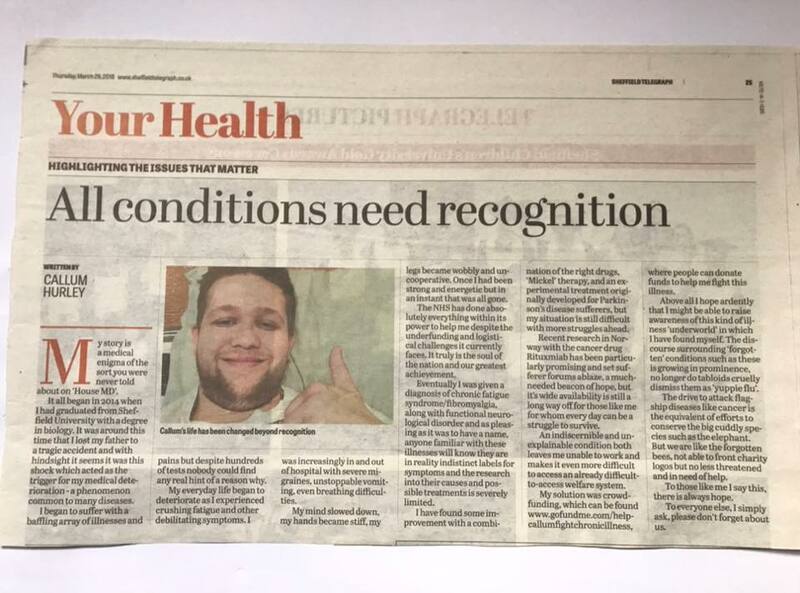 First the standard but no less sincere note of thanks to all who have continued to provide their support, and not just to me personally but for all who have suffered and the cause of raising awareness of and fighting ME and chronic Fatigue Syndrome in general. I’m still very grateful. I’ve remained in generally good strength these past few months despite being disproportionately plagued with migraines compared to usual. I can’t say why this is but it is notable that my current levels of symptoms seem to have become very dualistically and intimately tied to them in a way that is difficult to distinguish cause or effect, leaving me very dysfunctional when they are active and very functional when they are not. This is frustrating but has allowed me periods in which to continue working hard and making great progress which I am grateful for. Frustratingly however I discovered recently that I have ‘failed’ the medical assessment given by the Department of Work and Pensions and as such my living allowance benefit has been stopped pending an appeal. This is in the exact same week that I was actually awarded a totally separate benefit (PIP) for passing that medical assessment, which only serves to underscore just how random and inconsistent the whole procedure is. Indeed the DWP’s health assessment process as a whole is so fundamentally dysfunctional that even Conservative MPs have recently been speaking out against it! It seems to exist purely to make the whole process as time consuming and inconvenient as possible, presumably with the mindset of deterring malingerers and fraudsters. Which accords well with the work of Paul Nail, who recently found that Conservatives are generally more likely to demonstrate both greater suspicion with regards to the suffering of others and greater suspicion of exploitation, which he attributes to the underlying genesis of conservative impulses as being driven by fear, disgust, and perception of threat. It has the effect however of further punishing the already vulnerable, and according to recent evidence without even really accomplishing the implicit aim of reducing benefit utilisation. It is therefore a huge waste of the time and money of everyone involved (including the taxpayer), with a letter from a specialist being all that is ever really necessary to surpass reasonable doubt in terms of validating ‘real’ illness. Indeed from the tone of the response I received I got the undeniable impression that the individual involved – whom I don’t personally blame – had not even heard of the condition. It for example contains repeated references to the points-based system of the process, despite my extensive explanations of why this method just does not work in ME cases. In short the issue is that the assessment test assumes a degree of relatively consistent symptomality, as well as judges a test recipients capabilities for work based upon their absolute physical capacities. Neither of which apply to ME. It is very comparable to the way in which BMI tests produce morbidly obese results when applied to those with very high muscle masses (such as rugby players) as they just don’t take this into account. In more technical terms the axioms of the test are violated, and thus no matter how good it may be it cannot provide reliable results. It is equatable to the proverbial task of trying to force a square peg through a round hole. But this is just another bureaucratic nuisance to overcome and far from the worst evil I have endured so I’m not worried. It does however mean that, once again, I am more in need of your donations than ever until this whole sorry mess is sorted out, so please do continue to engage and share. Before I leave you it’s worth mentioning one encouraging update on a topic that I discussed in update#6. The blood test for ME that I mentioned as being in development has now reached an apparent reliability level of an amazing 84%, and whilst it still has a way to go this is not at all far from comparable to other tests for resolutely ‘physical’ illnesses. This gives me the feeling that ME’s days as a ‘God of the Gaps’ kind of illness that falls through the cracks of doubt are sorely numbered. We might know well how fallacious the physical/psychological duality idea in illness is but such demonstrations of objective physical changes have nevertheless been absolutely vital to winning official recognition in the past. Robert Sapolsky’s work in illustrating how Post-Traumatic Stress can enlarge the amygdala (resulting in uncontrollable emotional signals) and atrophy the hypothalamus (inhibiting emotional regulation) was key to getting representatives in Washington to acknowledge it (something which he cheekily notes suggests that ‘these legislators have neurological problems of their own’!). Robert Sapolsky – Behave (Penguin Books). It’s been great to hear from so many of you over the past months and I’d like to take the opportunity to once again personally thank everyone who has donated – indeed my financial situation has worsened to the point at which the funds I’ve received here have been absolutely necessary just to get by. It’s been a struggle that I couldn’t have weathered without you all. I’m also delighted to announce that I’ll be appearing in the dusky pages of the news media yet again, as I recently gave an interview to a reporter from the Rotherham Record which should be published some time this month. So please keep an eye out for that! The longer absence between updates has been in large part due to my having my hands full with the benefit service’s many requests for evidence and assessment. I’ve been pleasantly surprised to report how affable this whole process has actually been in contrast to the worst accounts I’ve encountered, it’s been burdensome and pedantic certainly but not at all callous. That said I’m given to understand that, not unlike the nature of finding effective ME treatments, this is largely a function of by whom one is assessed by and thus ultimately a rare case of good luck on my part! And this is not the only quality that the benefit system shares with that of current ME treatment; it is gratefully received and not at all necessarily ineffective but is undermined by a simple fatal flaw – it’s just not enough. And so any support via the crowdfunding campaign remains essential and very gratefully received. As I’ve emphasized in the past I have made great gains via methods such as pacing and general health improvements, but this still leaves the essential underlying aspects frustratingly unaddressed. “Imagine if all we offered patients with cancer was exercise and counselling” writes Sally Missing of the ME advocacy group Emerge Australia, “That is the equivalent of what is happening to patients with ME/CFS today.” Reading these words I was struck by just how appropriate the surname ‘Missing’ is in light of the ever growing traction of the #missingmillions campaign, which has been described as a pivotal moment in the unfolding history of ME awareness. On a side note, it brought to mind the old tongue-in-cheek notion of ‘nominative determinism’ first suggested by New Scientist magazine in 1994, in response to an article by a polar researcher known as ‘Daniel Snowman’! I myself once worked with a refuse disposal consultant known to me only as ‘Mr Skip’, to my endless amusement! Such fitting names are known as ‘aptronyms’. It’s interesting to note that it’s not impossible that there may well be something here. Psychologist Leonard Mlodinow discovered that unrelated individuals with the same surname marry at 4x the baseline rate (! ), seemingly as a result of an unconscious bias towards their own name despite all denying that this had in any way motivated them. Perhaps then something similar might occur when we choose our career paths? A related earlier milestone in the ME field was when the word ‘rare’ was officially removed from the description of the condition during the 1990s on account of the pioneering work of researcher Leonard Jason, which he achieved by simply calling 30,000 random Chicago phone numbers and being overwhelmed by the number of ME sufferers he discovered. Most were unknown to official figures due to poverty, stigma, or exclusion. This remarkably simple effort demonstrates the extent to which CFS/ME has been utterly neglected until so very recently. Biochemist Ronald Davis has vocally noted recently how much he still struggles to fund his lab’s work on ME/CFS, pointing out that whilst HIV affects roughly the same number of people in the United States — about 1.2 million — it receives 200 times as much funding as ME/CFS. And this is despite, as ME Specialist Dr Wood noted to me, ME often being as severely disabling, and removing just as many young individuals from the work force. Modern statistics now note that between 94,000 and 242,000 Australians suffer from the condition, and it affects 4 times as many women as men. Those with some medical know-how might recognize this as the exact same dynamic that is prevalent with autoimmune diseases such as Lupus. Yet the existence of ‘outbreaks’ of ME syndromes complicates this simple connection as is seemingly always the case, clearly such a thing is not possible with a genetic condition. And the – legitimate – link with mental health also suspiciously affects women to the exact same ration of 4:1. ME still refuses to be pinned down. Still there’s a hint right there that something is deeply amiss – we still don’t even know to within the nearest hundred thousand people how many are affected. But, despite the roadblocks it has to overcome, real research is happening now and it’s making real progress. Recently researchers Sonya Marshall-Gradisnik and Donald Staines have produced a stream of scientific publications identifying specific defects at the cellular level. Over time their research has singled out faulty chemical gateways in cell membranes – known as ion channels – as the possible unifying factor. As these channels are in every cell in the body they have the potential to be at the heart of the otherwise inexplicable diversity of faults caused by ME. Many were devastated earlier this year to learn of the overall failure of the large-scale controlled trial of the drug Rituximab, which despite miraculous anecdotal accounts was found to be no better than placebo in a large population. But such inconsistency is par for the course for ME as we well know, and I think it’s crucial to emphasize that this is as much a necessary learning experience as a failure. “Rituximab’s failure is very disappointing for patients, but the fact that such a trial was done is a very important thing in the field,” says immunologist Derya Unutmaz. “By ruling this out, we can focus on other directions.” This is the kind of scientific response that people like Leonard Jason and Sally Missing have been fighting for since the 1990s. The trial’s overall failure only strengthens our suspicions that autoimmunity is not the main cause of ME/CFS, he continues. Rather, he speculates that inflammation seen in ME/CFS might result from a problem on the regulatory side of a person’s immune system, which could be disrupted in any number of the ways discussed above. This could then in turn disrupt the ion channel activity. It does seem to be the case that whatever is going on inside does sometimes manage to ‘re-regulate’ itself in often unexpected ways and consequently, as I have stressed in the past, there is always hope of improvement and it is always worth trying almost anything no matter how bizarre it may seem. A fascinating anecdote from my own life is that of my grandmother, who suffered her entire life from the immune conditions psoriasis and psoriatic arthritis. At the age of 58 she fell down the stairs, breaking both of her legs and collarbone. In the aftermath both conditions mysteriously vanished. It was speculated that the extreme physical trauma had disrupted her immune system to such an extent that it just ‘rebooted’ and basically fixed itself (precisely what Rituxmiab, as a harsh chemotherapy drug, is thought to have done), though there is no way of knowing for sure. Frustratingly it’s often felt like it’s been nothing but a series of setbacks abound this past month, though as I hope to elaborate via the ‘theme’ of this update this statement doesn’t quite convey the whole story. Late last month I was hit with another episode of acute muscle failure in the hands, which was a huge psychological blow after the long period of apparent remission of this worst manifestation of the neurological issues. Since then many such symptoms have indeed been worse, most notably migraines yet again and their attendant sensitivity to touch, sound, and light. At the same time however I’ve remained constitutionally a lot stronger than in the past. In other words despite being harassed by a assortment of abnormal sensations I still have not felt as correspondingly ‘ill’ as this might suggest, excepting the increased strain upon heart and mind. This has created a strange month in which I seem to have been both paradoxically worse yet better at the same time. Having relayed all of this to the functional neurological consultant Dr Grunewald he sadly had little to offer other than an assurance that I was still ‘on the right track’. Amongst a long discussion ruminating upon the mysteries of these conditions there was one aspect in particular that came up that I’d like to talk a little about today as it is not discussed enough: the nature of the ‘self’ as it applies to chronic illness. As stressed by Kathy Charmaz (in her landmark 1983 paper) the 'loss of self’ is an underecognised but fundamental form of suffering in chronic illness, that is often neglected by a narrow medicalized approach which focuses upon physical symptoms. It’s the fundamental character of the actual human experience part of being ill, in which an image of oneself developed over the course of a lifetime is stripped away and the void filled with the all-consuming nature of the illness. This prevents the simultaneous development of a valued new self-image to replace it, stunted as it is by the illness taking away the things that defined one as an individual, and it is this ‘breaking down’ aspect which accounts for the regular comparison to that of torture and the similarity of the outcome to PTSD. A breakthrough moment for me was realising and acknowledging that I wasn’t the person that I was before the illness, nor could I be. I had to let go of that to move on. Yet simultaneously I inherited the totality of the memories and experiences of ‘the other guy’ and that they didn’t have to define me any less in their absence; in my heart I remain a traveller who cannot travel, prior to regaining the capacity I remained a whisky-lover who simply could not drink whisky. But most importantly this led me to conclude that I didn’t have to remain a failed version of a healthy person, but could become an actualized version of an ill one. That I could still choose to be the best version of what I am no matter what, even if that is something that is unavoidably - to borrow the terminology of author David Brooks) – lesser in every ‘second-rate’ practical sense. In his magnificent book ‘The Road to Character’ he describes the difference between ‘résumé virtues – those that bring success in the game of life – and ‘eulogy virtues’, those aspects of character which are admired at one’s funeral. Whilst I cannot be as good a photographer or academic as ‘the other guy’ I can be a better person, wiser and stronger than I ever could have achieved otherwise. It is this graduation of the illness boot camp that I hold accountable for any truly irreversible progressI have made. A new self-image is the reward, one defined by hope, a conviction to fight against great evil and help others to do so, and a duty to see this through to whatever end. In short, a person who is simultaneously infinitely worse and infinitely better than before. If you are new to chronic illness yourself and struggling I would urge you most of all to press on and get through to the other side of this process before you give up or settle your mind upon any outcome. Win this crucial battle and regardless of any physical situation you are already half way there. The philosopher Tim Freke refers to this kind of understanding as ‘mythic thinking’, the ability to hold in the mind multiple contradictory accounts of something and see them not as contradictory but complimentary, pieces of a bigger truth. Indeed the great scientist Neils Bohr famously had the words ‘complimentary not contradictory’ added to his family crest after studying quantum mechanics led him to the same conclusions about reality itself. Freke most notably cites experience of the binocular vision of both our eyes as a relatable example, both eyes providing slightly different but flat angles individually which are then combined by our brains to provide depth. CFS/ME and functional neurological disorder are themselves strikingly similar to this idea. That is to say that there is no single account of them that explains everything or works for everyone, and I would argue that a lot of the unhelpful (and often toxic) discourse that has predominated the field for decades stems from a lack of appreciation of this aspect. Case in point: Recent research by British doctor William Weir found that patients diagnosed with ME/CFS had significantly lower anaerobic thresholds than controls, and that in these people exercising actually decreases it further as opposed to increasing it as it usually does. He stresses that this strongly implicates some kind of mitochondrial dysfunction. Duodenal ulcers were once widely believed to be caused by stress until crusading Australian doctor Barry Marshall deliberately infected himself with the virus actually responsible and then subsequently treated himself to prove the point, and Weir says CFS/ME will in future follow suit once the true cause or causes are zeroed in upon. Yet it also remains indisputably true – however much we might hate it - that psychological trauma and ‘illness beliefs’ do play a large role in the development and course of this disease. This is true for all illness to an extent, few today would deny the potent effect of the mind-body link or placebo effect, but this effect is much larger than usual for CFS/ME patients. Time and time again analyses have found that certain personality types are strongly correlated to these conditions, at levels far beyond what could be mere coincidence. Where the cause and effect in all of this lays remains unclear but the take-home message remains the same: it is not ‘mind or body’ but ‘mind and body’ wherein the answers are to be found. On a more immediate note however an Australian team also claims to be close to developing a blood test (PainHS) to objectively and reliably detect chronic pain for the first time. This at least finally might banish the ‘is it real’ aspect of the CFS experience from the GPs office for good. I really hope, at least until this kind of nonsense can be banished to join Polio in the dustbin of history, that future ‘journeys’ might at least be a little easier than mine as a result of this. As for Dr Weir, he is quoted further on in the same article saying “I would say that within one to five years there will be a breakthrough”. Reason to hope, then. For those who missed it: here is a clipping of my health column in last week’s Sheffield Telegraph. "My story is a medical enigma of the sort you were never told about on ‘House MD’. I’ve been pinballed all over the medical world over the course of years, garnering theories for my illness ranging from MS to metabolic disease and even the great Lupus itself, but in truth even now nobody is sure why this has happened. 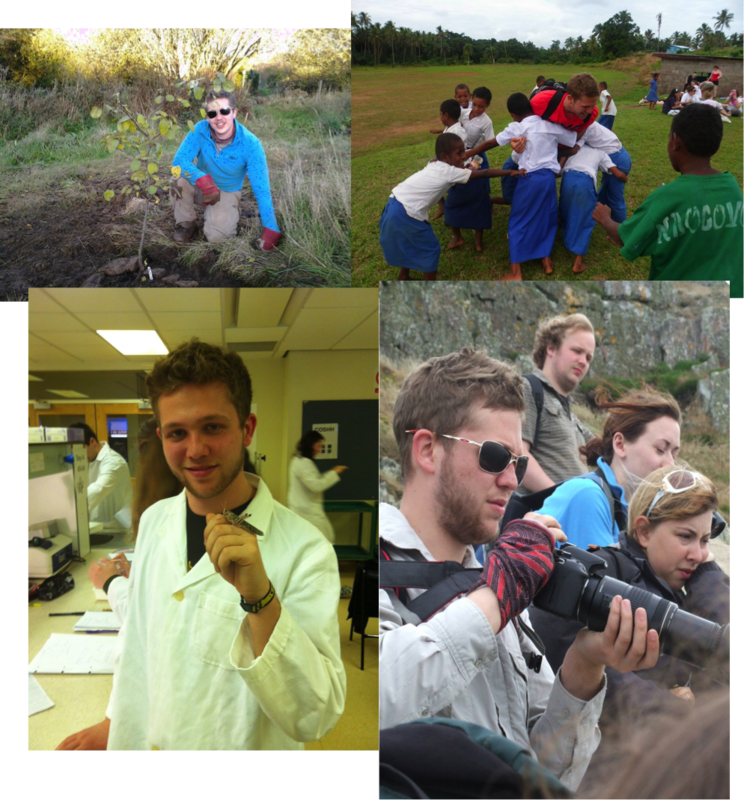 It all began in 2014 when I had graduated from Sheffield University with a degree in Biology. It was around this time that I lost my Father to a tragic accident and with hindsight it seems it was this shock which acted as the trigger for my medical deterioration - a phenomenon common to many diseases. I began to suffer with a baffling array of illnesses and pains but despite hundreds of tests nobody could find any real hint of a reason why. My everyday life began to deteriorate as I experienced crushing fatigue and other debilitating symptoms. I was increasingly in and out of hospital with severe migraines, unstoppable vomiting, even breathing difficulties. My mind slowed down, my hands became stiff, my legs became wobbly and uncooperative. Once I had been strong and energetic but in an instant that was all gone. It is as though I one day woke up with a flu that has waxed and waned, but never gotten better. One specialist that I consulted with also worked heavily with HIV patients, and estimated to me that the average moderate-severe CFS sufferer has a comparable quality of life to that of an AIDS patient in their last two weeks of life. The NHS has done absolutely everything within its power to help me despite the underfunding and logistical challenges it currently faces. It truly is the soul of the nation and our greatest achievement. When a patient has something distinguishably wrong the NHS functions as a well-oiled machine - funneling them to the right people and providing the right evidence-based treatments. Unfortunately, this system struggles when a patient falls ‘between the cracks’ with an indistinct illness such as mine. You find yourself endlessly juggled around departments and doctors aren’t able to offer a ready-made solution. 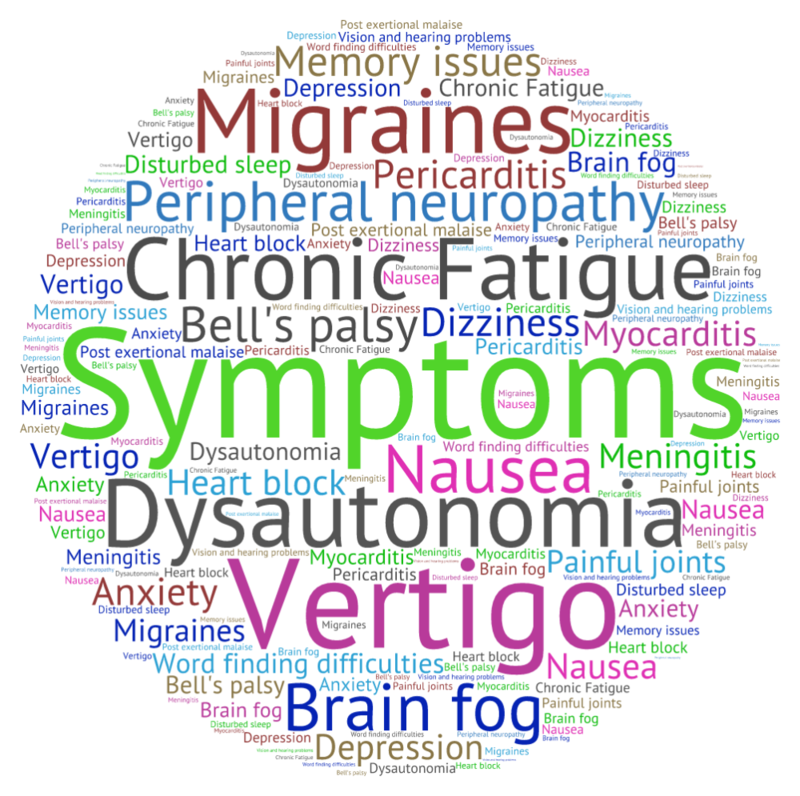 Eventually I was given a diagnosis of Chronic Fatigue Syndrome/Fibromyalgia, along with Functional Neurological Disorder and as pleasing as it was to have a name, anyone familiar with these illnesses will know they are in reality indistinct labels for symptoms and the research into their causes and possible treatments is severely limited. I have found some improvement with a combination of the right drugs, 'Mickel' therapy, and an experimental treatment originally developed for Parkinson’s disease sufferers, but my situation is still difficult with more struggles ahead. Recent research in Norway with the cancer drug Rituxmiab has been particularly promising and set sufferer forums ablaze, a much-needed beacon of hope, but it’s wide availability is still a long way off for those like me for whom every day can be a struggle to survive. An indiscernible and unexplainable condition both leaves me unable to work and makes it even more difficult to access an already difficult-to-access welfare system. My solution was crowdfunding: www.gofundme.com/helpcallumfightchronicillness, where one can donate funds to help me fight this illness, as well as read more about my story. Above all I hope ardently that I might be able to raise awareness of this kind of illness ‘underworld’ in which I have found myself. The discourse surrounding 'forgotten' conditions such as these is growing in prominence, no longer do tabloids cruelly dismiss them as 'yuppie flu'. To those like me I say this: there is always hope and even the things that you have tried before can make a real difference in the right combination. To everyone else: I simply ask, please don’t forget about us."